In a major win for L N Mittal-led ArcelorMittal, the National Company Law Tribunal (NCLT) Ahmedabad on Friday approved its Rs 42,000-crore takeover bid for debt-laden Essar Steel India Ltd (ESIL). Pronouncing the order by reading the operative part of it, the two-member Bench of adjudicating authorities — Harihar Prakash Chaturvedi and Manorama Kumari — also suggested a “better implementation” of Arcelor's resolution plan. The tribunal suggested that instead of bagging 92 per cent under the proposed plan, financial creditors' share could be 85 per cent so that operational creditors might get 15 per cent instead of 8 per cent. The tribunal also suggested including Standard Chartered Bank (SCB) in the 85 per cent share among financial creditors, unlike ArcelorMittal's proposed plan, which excludes most of SCB’s claims. However, the tribunal maintained these were merely suggestions and would not affect its order approving ArcelorMittal's plan. “This court has limited jurisdiction and cannot impose its view on the commercial wisdom of the committee of creditors,” the Bench stated, while reading the operative part of the order. ArcelorMittal's bid includes an upfront payment of Rs 42,000 crore ($5.7 billion) towards the debt resolution of ESIL with an additional Rs 8,000 crore ($1.1 billion) of capital infusion into the company to support operational improvement, increase production levels and deliver enhanced levels of profitability. In October 2018, the committee of creditors (CoC) of Essar Steel had voted to approve ArcelorMittal’s plan and a letter of intent was issued. “We welcome today’s pronouncement by the NCLT Ahmedabad. While we need to review the full written order once it becomes available, we hope to complete the transaction as soon as possible,” an ArcelorMittal spokesperson stated. As in the case of Bhushan Steel, where Tata Steel had moved in within 72 hours of winning the bid in the tribunal, ArcelorMittal may seek to move in to take hold of Essar Steel India Ltd.
One of the top lenders to Essar Steel said, "The matter of redistribution of the corpus will be discussed and sorted out by the lenders. The 15 per cent share is a significant amount though it is a suggestion. But Arcelor could pay the lenders like in the case of Bhushan Steel." Lenders were likely to meet shortly to discuss the issue of operational creditors. 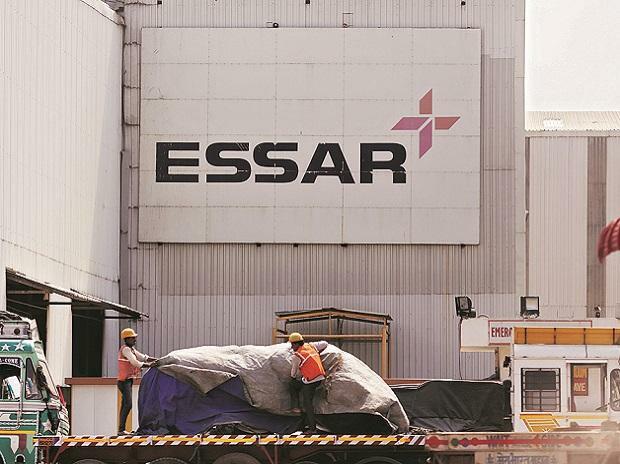 On the other hand, the Ruias, Essar Steel promoters, are likely to move the National Company Law Appellate Tribunal (NCLAT) on Monday, challenging the NCLT order. The appellate tribunal had earlier directed NCLT Ahmedabad to pass the order by March 8, following which it would be heard at the appellate tribunal. The tribunal, however, rejected immunity sought by ArcelorMittal pertaining to certain tax and legal liabilities. The Bench held ArcelorMittal could not claim such relief from the NCLT but was open to approach relevant authorities for this. The tribunal also said the rejection of such concessions would not deem ArcelorMittal's bid redundant. Earlier, the L N Mittal-led steelmaker too had told the tribunal its bid for ESIL was not contingent on such immunity and that it would go ahead with the takeover even without it.